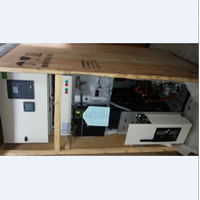 Sell Electrical Panel is a device that serves to divide, distribute and distribute electric power from the center of electricity to the consumer. It can also be applied to building electrical installations or to multi-storey houses. 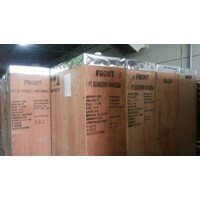 Electric panels are available in various sizes, materials, models and other specifications. equipped with a door on the front that can be opened and closed and can be locked, has a square and closed shape from all sides to be protected from the entry of other objects from outside. Maju Jaya Panel sells cheap electrical panels. SME Motorized QM PanelMotorized QM Panel SM6 is a type of electrical panel used as an electric current controller from a voltage source to an electrical component, this electrical panel as a bridge between the source and electrical components that serves to regulate the voltage of the electric current. 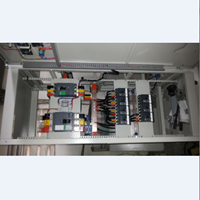 DMA1 Motorised Metering PanelMotorised DMA1 panel is an electrical panel used to control electricity from a substation to an electrical component.DM1A motorized metering panel has good quality not inferior to other booth. We also provide Cubicle Incoming Schneider electric panel.In addition to panel products We also sell various kinds of quality transformers, booths, various kinds of cables, power poles and we also serve the installation or installation. We provide various MVMDP panels (Medium Voltage Distribution panel) or so-called TM (Medium Voltage) panels or also called booth panels.In addition to DM1A Motorized Metering Panel, Ready Stock for all other electrical panel brands.For more information and order about electric panel please contact us. LVMDP PanelLVMDP Panel An electrical panel that acts as a power / power receiver panel of a 20KV / 380V transformer (transformer) and further distributes the power to the Low voltage sub distribution (LVSDP) panel using Air Circuit Breaker or Molded Case Circuit Breakers. Panel MV SchneiderMV Schneider panel is a type of electrical panel that has a range of kilo Volts but not hundreds. This panel is usually sourced from an industrial power plant, can be turbine or engine, and can also be electricity from PLN which previously had met with transformer at substation. So the voltage value of 150kV is already 20kV. 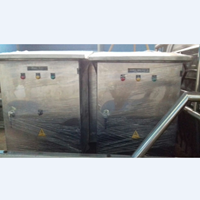 Steel Stainles PanelStainless steel panels are electrically designed electric panels made of strong, anti-corrosive stainless steel. 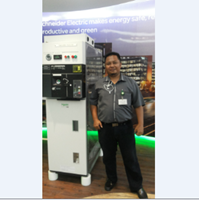 This product is used as a device that serves to divide, distribute and distribute electric power from the source / power center consumer / user.